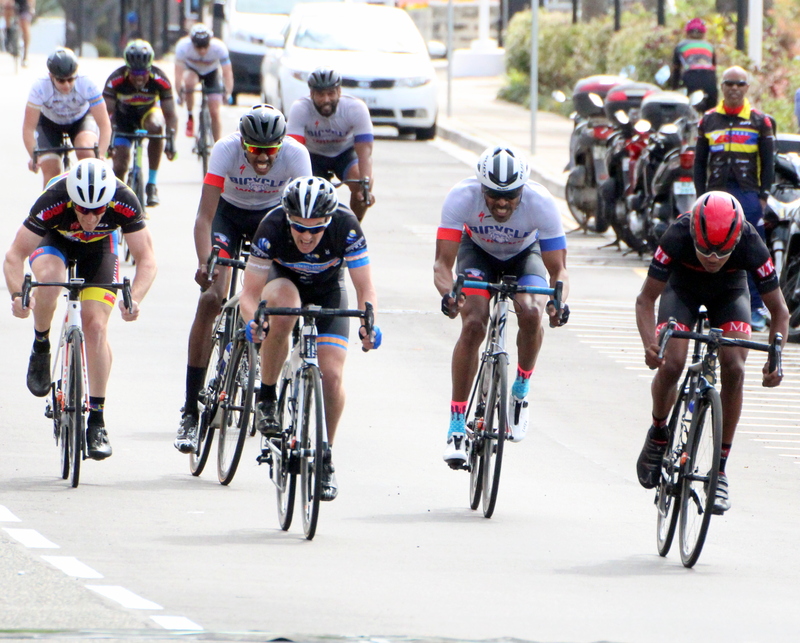 Matthew Oliveira was crowned the Male A Division Bermuda Bicycle Association’s Butterfield Grand Prix 2018 Champion following three days of Cycling. Oliveira recorded a three day time of 2:42:03, he finished one second ahead of Dominique Mayho who was clocked at 2:42:04, Jabari Whiteman from Trinidad finished third with an overall time of 2:43:39. Caitlin Conyers was crowned the Women’s Champions with a time of 1:41:13, Nicole Mitchell was second in 1:41:30 and Ashley Estwanik was third overall clocking 1:54:15. In the Male B Division, Clifford Roberts was declared the winner after finishing with the same time of 2:00:09 with Ziani Burgesson, with Alan Mooney third in 2:00:14. In the Crit in Hamilton Oliveira clocked a Male A Division winning time of 1:03:29.972, Mayho was second in 1:03:34.214 and Whiteman was third in 1:03:58.956. Conyers road to victory in the Women’s Division stopping the clock in 33:07.760, while Nicole Mitchell was second in 33:23.830 and Estwanik was third in 33:23.836. Burgesson clocked a winning time of 35:54.119 in the Male B Division, Mooney was second in 35:54.243 and Roberts finished third in 35:54.416.